As anyone who reads this page knows, it’s the one I have trouble with. Yep, this is the 24th draft, so I am not doing well. As usual, it was an influence completely outside the research that gave me the key to how to begin this issue, how to define and distil the towering legend that is the history of this company. 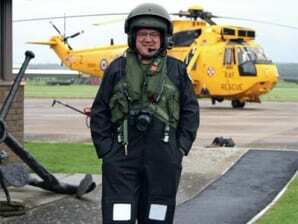 With the Mosquito it was Monty Python, with Lockheed Martin it was Gillan, Ian Gillan’s rock band. Again, if you read this page, you will know that I listen to music or comedy while I am writing; it frees the mind and lets the details, the facts, become a story. In this case, I was listening to the excellent Glory Road and was humming along to No Easy Way when I suddenly got it. Nothing Lockheed Martin has ever done has been done the easy way. Just look at its track record or flick through these pages and you will see what I mean. Everything has always been at the cutting edge of technology or capability, pushing the edge of the envelope of manned flight further, higher or faster. The P-38; a supercharged twin when the norm was single-engined. The P-80; the first operational jet fighter in the US. The F-104; a Mach 2 interceptor. The C-130; four turboprops on a medium transport. The U-2 and SR-71; well, words are superfluous. The F-117; with a radar signature the size of a ball bearing. Take a look under the skin of the F-35 for a current example. There’s no hydraulic fluid. The fuel is used in the system, called ‘fueldraulic’, instead. The messy, corrosive and environmentally unfriendly hydraulic fluid is gone, replaced by a liquid you have to put into the aircraft anyway. How much is that going to save on weight, storage, handling and maintenance alone? It’s ideas like this, like Ben Rich using the Blackbird’s fuel as a heat sink, which set Lockheed’s aircraft apart. A problem occurs, and Lockheed Martin finds an innovative, elegant, simple way to solve it. Not taking the easy or accepted route, always finding a solution to a given problem that doesn’t penalise performance has had another effect on the company’s aircraft. Have you noticed how many of them are still in service or production after decades? The Electra, the basis for the P-3C Orion, first flew in 1957. Today, new wings are being built and a new customer has just come forward to purchase its first. The C-130 will celebrate 60 years of continuous production in 2015, the only replacement for that tough old bird is another one. The U-2, a Cold War icon, is still doing its thing in the upper atmosphere, where it has been loitering since 1955. The C-5 is slated to see out 70 years of continuous service after the most recent upgrade. The F-22 and F-35 are additions to this canon, designed as they are with a lifespan measured in decades. Innovation, origination and longevity, not a bad record to own. But you can add honesty and integrity to that, as many examples are recorded in these pages. This reputation has been built on the shoulders of remarkable people. Allan and Malcolm Loughead, Robert and Courtlandt Gross, Hall Hibbard, Tony LeVier, Mac VF Short, John Wassall, Willis Hawkins, Milo Burcham, Paul Bevilaqua and of course Kelly Johnson. These and many others have built a legacy that is evident in the leadership and workforce of the company today. Take a walk through the production lines in Fort Worth or Marietta, the pride and commitment of the people there are self evident. I truly hope I have done everyone who has worked, and still does, on Lockheed Martin aircraft justice in these pages. As the story reveals, they have more than earned it. Recently, the F-35, the largest combat aircraft programme ever undertaken, seems to have become the centre of some controversy, with people casting doubt on both the reputation of the company and the abilities of the aircraft. Such a ground-breaking development as this aircraft and its many systems needs time to mature and to fulfil its potential. To those who seem to have an investment in attacking this programme, I would say one thing. Take a look at these pages and you will find one constant that is remarkably clear throughout their history. Lockheed Martin delivers. I suggest you let them. Happy 100th birthday Lockheed Martin, I look forward to where you are going to take us next. Interest in jet and turboprop airliners in the early 1950s prompted a response from the American manufacturers, with both Douglas and Boeing producing jet aircraft. Lockheed, however, was to develop an economic turboprop for between 66 and 98 passengers which would go on to become the West’s most important maritime patrol aircraft from the 1960s right up to today. Capital Airlines approached Lockheed in 1951 regarding the possibility of developing a turboprop transport. At this time, Lockheed had experience with the powerplant from the Constellation conversions and was designing the YC-130 around it. However, despite Capital’s interest, another customer could not be found so the idea was dropped. In 1954, the idea resurfaced with interest from American Airlines in a twin engined aircraft, but again, a second customer could not be found and this design, designated the CL-303, was also shelved. The following year, American updated its requirement to a four engined, 75 seat airliner with a range of at least 2000 miles (3220km), but with the ability to operate economically on shorter routes. Lockheed proposed the CL-310, and while this met the American requirement, Eastern Airlines, which was also interested, wanted longer range, 90 seats and a higher cruising speed of at least 350mph (563kph). Lockheed redesigned the aircraft to accept the Allison 501D-13 turboprop, the civilian version of the T-56 engine. The airframe was stretched to accommodate more seats and handle the increased performance, the new design being accepted by both airlines as the new engines maintained the economic performance over short ranges. On June 8, 1955, American ordered 35, followed by Eastern on September 27 with an order for 40 more. The detail design work and construction of the prototype took only 26 months. By the time it was ready to fly, six more US and three overseas airlines had raised the customer order book to 129 aircraft, with options taken out on 48 more. On December 6, 1957, test pilot Herman ‘Fish’ Salmon took the prototype on its first flight at Palmdale, two months ahead of schedule. The registration was N1881, reflecting the model number, L188. The aircraft had also had a new name, one which had begun the fortunes of the company, the Electra. The test and certification programme was completed quickly without incident; the Federal Aviation Administration (FAA) awarding the Type Certificate on August 22, 1958. By the end of the year, Eastern had received seven aircraft, American four, but services did not begin until January due to a strike by pilots. This was symptomatic of a greater malaise, the US was in an economic recession at the end of 1958, one which affected the domestic airlines. Despite this, the Electra order book had continued to grow, with an additional 19 aircraft being ordered prior to the first commercial flight. 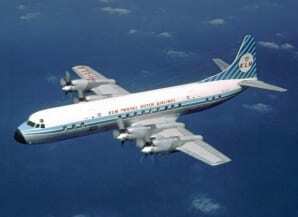 The Lockheed Electra flew its first passenger service with Eastern Airlines on January 12, 1959. The aircraft was available in two main versions, the 188A and 188C, the main difference being that the internal fuel was increased from 5450 US Gallons (20,631 litres) to 6490 US Gallons (24,567 litres) to increase the range, with a commensurate 3000lb (1361kg) increase in maximum take off weight. The Model 188B was an unofficial designation used by Lockheed to describe Electras built for overseas customers, which had a navigator’s station in the cockpit and other changes. The airline orders accounted for 165 of the 170 Model 188 Electras built, the additional five aircraft being development, test and evaluation airframes. Problems emerged with the Electra in service. Passengers complained of noise in the forward cabin which was traced to resonant vibration from the propellers. From mid-1959, a modified engine mount was introduced on the production line and as a kit to modify existing aircraft. This raised the engine incidence by 3º and cured the problem, the Electra becoming popular with passengers and, due to its excellent economic operation, airlines alike. However, between February 3, 1959, and March 17, 1960, three crashes were to occur, the first being ascribed to pilot error, the other two, the first on September 29, 1959, showing that the aircraft had broken up in mid-air. On March 25, 1960, the FAA, despite press calls to ground the Electra, issued a maximum cruising speed limitation of 295mph (475kph), while they and Lockheed discovered the cause. The disintegrations were traced to an oscillation in the outer engine nacelles, an aerodynamic and gyroscopic effect that became known as ‘whirl’. This oscillation drove the wings, and could become so severe that they could break from the fuselage. However, the condition could only be replicated in tests if the reduction gearbox mount was damaged first, reducing its dampening efficiency. Lockheed responded immediately with the Lockheed Electra Achievement Programme (LEAP), which strengthened both the mounts and associated wing structure and the wing skins. Every single Electra in service was returned to the factory and underwent the 20 day modification programme, entirely at Lockheed’s expense. The aircraft still on the production line had the modifications built into them. Although litigation and the modifications cost the company a tremendous amount of money, their direct and rapid action cemented Lockheed’s reputation for integrity and responsibility within the airline industry. Sadly, public confidence in the Electra had been lost. On top of this, smaller jet aircraft were taking over the short haul market from their introduction in the early 1960s. The major carriers steadily sold off their Electra fleets, 28 US airlines as well as NASA and the National Centre for Atmospheric Research were to acquire them and use them successfully for many years. Overseas, 46 airlines in 30 countries and the air forces of five nations were to acquire Electras, flying worldwide with operators from Australia to Zaire. Around 57 aircraft were converted, 40 by Lockheed, to become freighters, with a large rear cargo door and a strengthened cabin floor. The Electra was to prove a tough and durable airframe, indeed, 22 still operate in 2013 with three Canadian companies. Five are still used as freighters, the remaining 17 as firefighters, converted with a 3000 US gallon (11,356 litre) tank for fire retardant chemicals or water. Interestingly, the fuel crisis of the 1970s prompted a study to return the fuel efficient but extremely fast Electra to production. This decline of the airline market was not the end for the excellent design as in August 1957, the US Navy had issued Type Specification 146 for an advanced maritime patrol aircraft to replace the Lockheed P-2 Neptune. Lockheed responded with a military version of the Electra, the Model 185, being awarded a development contract in May 1958. The third Electra airframe, N1883, was modified with a fairing under the forward fuselage to simulate the weapons bay and a dummy Magnetic Anomaly Detector (MAD) boom. This first flew on August 19, 1958, while a mock up of the production aircraft was completed. The satisfactory nature of the flight trials and mock up led to a pre-production contract in February 1959. N1883, now designated the YP3V-1, was modified still further with the forward fuselage shortened by 7ft (2.13m) and the avionics and sensors were fitted. This modified version flew for the first time on November 25, 1959, and was successfully evaluated by the Navy, resulting in a production contract for seven P3V-1s in October 1960. The new aircraft was named Orion, and in September 1962, was redesignated as the YP-3A, the first of a long and successful line. The initial batch of P3V-1s, later called P-3As, were fitted with 4500hp Allison T56-A-10W turboprops, giving the Orion a maximum speed of an impressive 473mph. To increase endurance, the internal fuel capacity was massively increased over that of the Electra, with four wing and one fuselage tank holding 9200 US gallons (34,826 litres). This fuel load was to later allow a Royal New Zealand Air Force Orion to set a record for the type with a mission lasting 21.5 hours. To increase loiter time in the patrol area, it was usual practice to shut down the No. 1 engine, the port outer. This had no electrical generator to power the avionics, and the lack of its hot exhaust plume improved the view from the port aft observer’s position. On some operations, both outer engines were shut down, increasing the loiter time still further. The Orion was designed for a crew of 10 and a weapons load of up to 19,252lb (8733kg) could be carried in the internal weapons bay under the forward fuselage or on the 10 underwing pylons. The weapons included depth bombs, torpedoes, mines and the Martin Bullpup air to surface missile. Although the Orion carried no defensive armament, its firepower was impressive against both submarines and surface ships. The sensors included the ASQ-10 MAD boom, the APS-80 radar and the ASR-3 which could detect and track the diesel exhaust of a snorkelling submarine. As well as these, a variety of active and passive sonobuoys could be dropped from a dispenser system mounted in the rear fuselage. During their long career, most of the 157 P-3As built were re-engined with 4910hp Allison T56-A-14 engines and given senor and avionics upgrades. They first entered service with VP-8 at Patuxent River in August 1962, the first of 24 Fleet and 13 Reserve squadrons to operate the Orion. The aircraft saw active duty during the Cuban Missile Crisis and the Vietnam War, then during the conflicts with Iraq and over Afghanistan. Other than the US Navy, 18 other nations acquired the Orion, and again several saw operations. The Islamic Republic of Iran Air Force used its P-3Fs in the Tanker War in the Gulf, the Royal Australian Air Force deployed its AP-3C Orions to Afghanistan from 2003 to 2012, the Pakistan Navy conducted operations against terrorist organisations in the north of the country in 2007 and the Spanish and Portuguese Air Forces sent P-3s to protect shipping from Somalia based pirates between 2008 and 2011. The major production versions of the Orion beyond the P-3A were the P-3B of 1966 and the P-3C of 1969, but there are a huge variety of types and sub types as listed here. Given the remarkable safety record of the Orion and its tough and reliable airframe and systems, many of the 757 built (650 by Lockheed and 107 under licence by Kawasaki) remain in service today. The Vietnam People’s Navy is negotiating to acquire six unarmed patrol versions. The US Navy will steadily replace its Orions with the Boeing P-8 Poseidon based on the Boeing 737 from 2013 onwards, but it is likely many will remain in special roles for a number of years. Singapore has registered its interest in acquiring ex-US Navy aircraft, and others may yet come forward. Given this remarkable performance 51 years after its first flight and 23 years after the last one was built, Lockheed opened a production line for new P-3 wings in 2008 as part of a Service Life Extension Programme (ASLEP). In this, the outer wings, lower centre section and tailplanes are all replaced from a kit of newly manufactured parts, deliveries beginning in 2010. For such a long lived aircraft, it is a remarkably little known one, but it is likely Orions will be patrolling the world’s oceans and protecting borders well into the 2020s and beyond, a remarkable achievement by a remarkable aircraft. In 1981 the US Air Force began a programme called the Advanced Tactical Fighter (ATF). This was intended to replace the excellent F-15 and counter the threats posed by the MiG-29 and Su-27, so whatever aircraft was produced in response would have to be of exceptional agility and capability. That is exactly what they got. 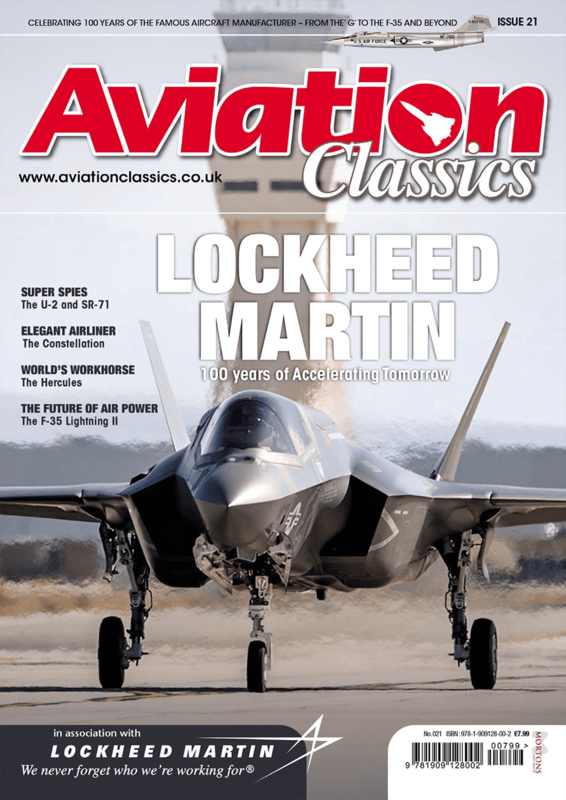 The F-15 and F-16, as already mentioned in this issue, are exceptional aircraft that will remain in service for many years to come. However, in the late 1970s, the appearance of the agile and capable Mikoyan Gurevich MiG-29 and Sukhoi Su-27 and their projected developments caused US Air Force planners to re-evaluate the future of fighter aircraft in the face of the worldwide sales of the Russian aircraft. Studies were initiated into how the fast developing materials and computer technologies could be put to use in a fighter to create, not a traditional air superiority fighter as those types that already existed were known, but a new idea, an air dominance fighter. An aircraft so fast, powerful, agile and well equipped that it could cope with any current or projected threat with ease. This thinking coalesced into the ATF requirement in 1981, which called for the use of composites and lightweight alloys, new engines and the ability to cruise supersonically, advanced radar and avionics, a computer controlled high agility flight control system and an application of stealth technology to make the aircraft survivable even in a modern high threat environment. This was a tall order for the day, integrating the often conflicting needs of speed, agility and stealth became the core challenge of the ATF project. Aircraft manufacturers across the US had a number of concepts that had been evolving since the 1970s which incorporated two of the three requirements, but none yet with all three. In 1983, the USAF issued a request for proposals for the new engine for the ATF, with Pratt and Whitney being selected to develop their F119 design, while General Electric worked on their F120. At the same time, USAF requested proposals for the aircraft, to which Boeing, General Dynamics, Grumman, Lockheed, McDonnell Douglas, Northrop, and Rockwell responded. All seven companies were invited to refine and explore their concepts, with a final request for technology demonstration and validation proposals being issued in September 1985. This was amended twice, firstly by including flying prototypes in the intended contract and secondly by encouraging teaming between the seven companies to make production of the winning design more efficient. After negotiations, Northrop and Grumman formed one team, and Lockheed Martin, Boeing and General Dynamics another. Grumman and Rockwell declined the arrangement. The agreement between the companies was that the winning design would denote which was to be the lead company on the project. On October 31, 1986, the two teams were requested to develop the Lockheed and Northrop designs, designated YF-22 and YF-23 respectively. The Lockheed led team met at the Skunk Works on November 2 and an agreement was reached that Lockheed would build the cockpit, forward fuselage and nose undercarriage as well as all of the specially treated airframe edge surfaces and other stealth features. They would also provide the central avionics data processors and be responsible for final assembly at Palmdale. Boeing would build the wings and rear fuselage, the fire protection, life support and auxiliary power systems, and arrestor gear. They would also build the radar, infrared search and track system and the mission software. Lastly, Boeing would also provide the flying laboratory to develop the avionics and take leadership in developing the training system. General Dynamics were to build the fins and tailplanes, the centre fuselage and its subsystems, the main undercarriage and the flight controls. They were also to be responsible for the infrared elements of the aircraft’s stealth capabilities and provide the communications, navigation, and identification systems, the electronic warfare system, inertial platform and the stores management system. General Dynamics were also to take leadership of the aircraft’s support system. Interestingly, this workshare was to prove so efficient that it has changed little on the aircraft as we know it today. Each team was required to build two prototypes, one powered by the F119 engine, the other the F120. What followed over the next two years was an incredibly intense series of negotiations, meetings, planning and design revisions as the aircraft was not only detailed, but prepared for production. The companies had to get used to working together, and accommodate each others strengths and weaknesses. Not an easy task among former rivals, but regardless, the first set of production drawings were released on April 1, 1988, the first metal being cut on April 27, a remarkable achievement by all concerned. The three fuselage sections were all at Palmdale on January 12, 1990, and went together incredibly smoothly, the application of advanced computer aided design technology proving its worth. 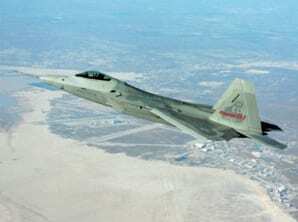 The first General Electric YF120 powered YF-22, PAV-1, 87-0700, was completed on August 29, David Ferguson making the first flight from Palmdale to Edwards Air Force Base one month later on September 29. This was followed by the Pratt and Whitney YF119 engined prototype, PAV-2, 87-0701, on October 30, flown for the first time by Tom Morgenfeld. The next three months were to see the two aircraft perform an exacting flight test schedule, with 74 flights completing over 90 hours of testing. The aircraft’s flight envelope was explored to Mach 2, sustained 7G turns and 60 degrees of angle of attack, as well as test firing the AIM-9 Sidewinder and AIM-120 AMRAAM air to air missiles. Both prototypes demonstrated the ability to cruise supersonically without afterburners, PAV-1 reaching Mach 1.58 and PAV-2 Mach 1.43. The thrust vectoring system enabled post-stall manoeuvres to be flown and the large control surfaces demonstrated the YF-22’s tremendous agility throughout the speed range. The stealth characteristics were tested with full scale models mounted on poles on radar ranges and found to be entirely satisfactory. Meanwhile, the new radar and other avionics systems were rigorously tested aboard Boeing’s flying laboratory, based on a Boeing 757 airliner. Lastly, the all important reliability, ease of maintenance and support functions were tested and demonstrated, not only with the prototypes but with a number of systems tests and demonstrations by the three companies. On April 23, 1991, then Secretary of the Air Force, Donald Rice, announced the YF-22 with the Pratt and Whitney engines to be the winner of the ATF programme. While the larger YF-23 had proved to be both faster and stealthier, the YF-22 was more agile and had demonstrated more of its capabilities in the test flights. Interestingly, Rice commented that the combination of engine and airframe “clearly offered better capability at lower cost, thereby providing the Air Force with a true best value.” The engineering, manufacturing and development contract called for the production of seven single seat F-22As and two two seat F-22Bs, although these were later cancelled to reduce costs. The intention at the time was for the USAF to acquire a total of 650 fighters. A number of changes were made to the design between the YF-22 and the production F-22. The fins were reduced in size and the wing leading edge sweep reduced from 48 degrees to 42. The shape of the wing and tailplanes were changed which improved both their aerodynamics and stealth qualities. The engine intakes were moved aft by 14 inches (35.56cm) and the nose shape was changed, the cockpit moving forward by seven inches (17.78cm) to improve the pilots view. These changes resulted in the F-22 being shorter than the YF-22 by two feet (0.6m), at 62 feet (18.9m) in length. On April 9, 1997, the first Lockheed Martin F-22A was rolled out at Marietta, Georgia and officially named Raptor in an unveiling ceremony. This particular aircraft, named ‘Spirit of America’ to reflect the nationwide supplier and subcontractor base that made the aircraft possible, made its first flight on September 7. Even as this was happening, the wholly remarkable F-22 programme had become something of a political football, with an ever decreasing number of production aircraft being projected as the defence budget was cut in the aftermath of the end of the Cold War. Given the extremely advanced technology embodied in the fighter, export sales were banned, so this avenue was not available to Lockheed Martin to make up the shortfall in production numbers, despite interest from Australia and Japan. As the production numbers fell, unsurprisingly the unit cost increased, causing further political turmoil. Methods of extending the production line were explored, including the potential for developing an export version, but these sadly came to naught. In the end, only 195 of the astounding F-22s were built, the eight test aircraft and 187 production combat versions, the last one rolling off the lines in December 2011. 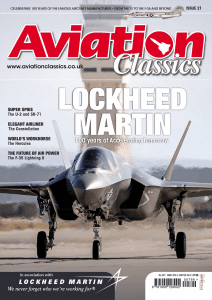 Lockheed Martin have maintained all the jigs and tools for the aircraft, not only to supply spare parts to the fleet, but against the day it may be required to re-enter production. Flight testing of the F-22 and its powerful avionics, including the advanced Northrop Grumman AN/APG-77 Active Electronically Scanned Array (AESA) radar, AN/AAR 56 Infra-Red and Ultra-Violet MAWS (Missile Approach Warning System) and the AN/ALR-94 radar warning receiver (RWR), showed the F-22 to have unparalleled electronic capabilities to match its speed, stealth and agility. On December 15, 2005, the USAF announced that the Raptor had reached its initial operational capability, demonstrating its superiority in no uncertain terms during Exercise Northern Edge in June 2006 over Alaska. During the exercise, 12 F-22s of the 94th Fighter Squadron shot down 108 adversary aircraft in simulated combat for no losses. Minor problems with the software and other bugs were ironed out, with the F-22 rapidly achieving the availability and maintenance standards required by contact. However, problems with the g-suit and oxygen supply on the aircraft that affected the pilot’s health caused firstly restrictions on long flights and high altitude operations, then subsequently the grounding of the fleet while the symptoms and causes were investigated. A number of changes were made to the oxygen system and flight vests which resolved the problems, and all restrictions on the F-22 were lifted on April 4, 2013.